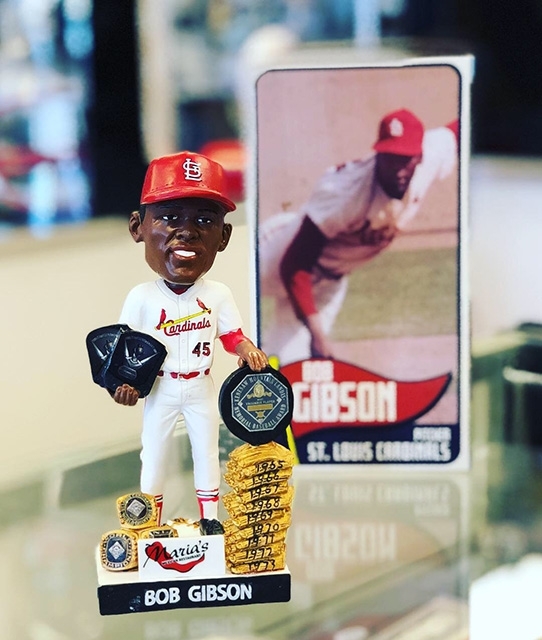 This bobblehead released by the Springfield Cardinals will be an excellent addition to your collection! 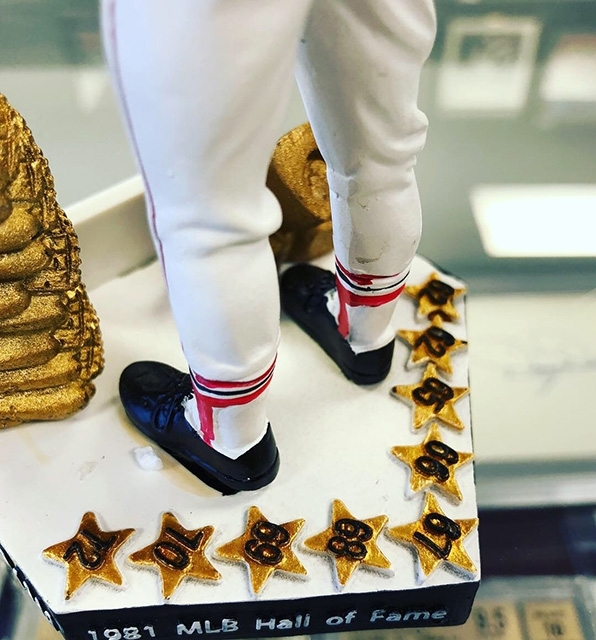 Autographed on 9/13/18 in St Louis and authenticated by Beckett. 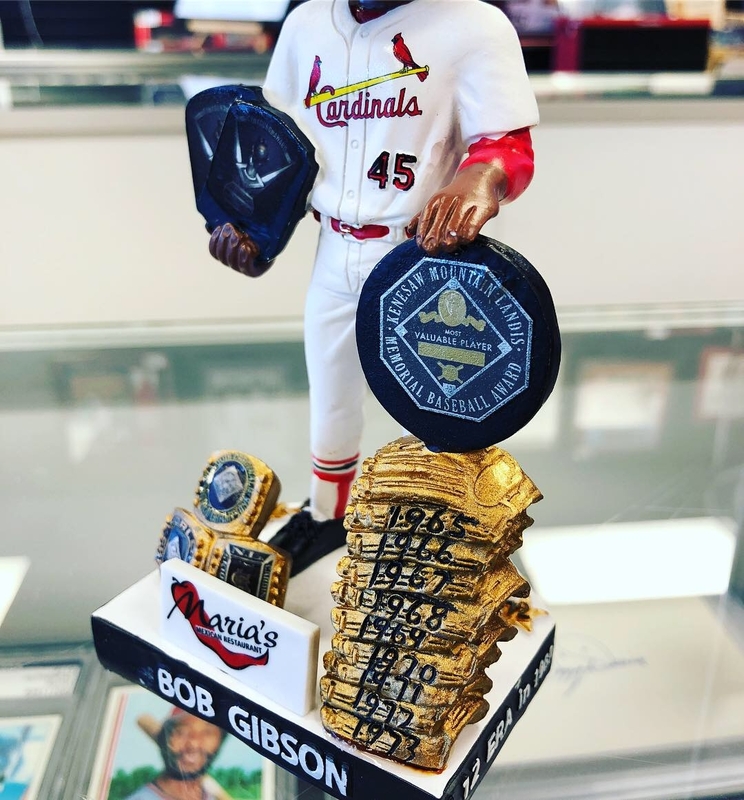 We are amazed by the detail of Mr. Gibson's awards that are highlighted on this piece. Only a select number are available.